Note: Updated with clarification around terminology and to correct some of the information around books 2 and 3 of the series. 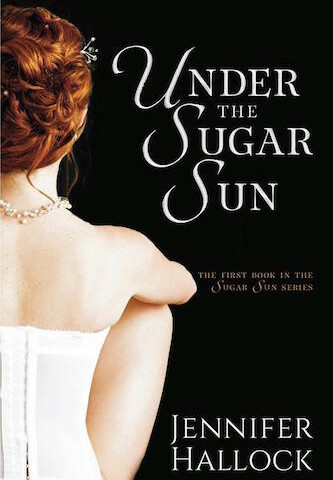 Regency historical romance is my go-to subgenre when I need a comfort read, so when I heard about Under the Sugar Sun, a historical romance set just after the end of the Philippine-American War in 1902, I had to read it. Georgie Potter has made the journey from Boston to Manila to follow her fiancé and search for her brother, missing after the Balangiga massacre in Samar. The Philippines is still chafing under its new administrators, and even land barons like Javier Altarejos are struggling to balance political, economic and social tensions. Georgie has a two-year assignment to teach in Javier’s community, but this becomes increasingly untenable as Georgie finds it difficult to ignore some uncomfortable truths: that her fiancé is a bigot; that Javier is more than just an employer to her; and that her brother might still be alive and she is the only one who can bring him home. Author Jennifer Hallock has done an impressive amount of research to render the backdrop of this story. I’m a complete dunce at history, but the setting became vivid in my imagination. Hallock lived in the Philippines for a time, and I think this allows her to layer the story with cultural nuances that would be difficult to extract from historical records alone. By the third chapter, I was able to let go of my tension as a Filipino reader determined to nitpick the details, and just fall into the story. I read somewhere that Hallock intended this book to be a Philippine-set romance written in the style of a Regency. Hallock almost gets this right if not for succumbing to the temptation to linger on historical details, to the point where I dithered over how to categorise this book. 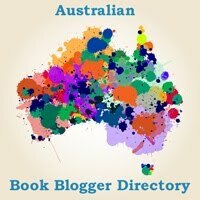 Historical romance? 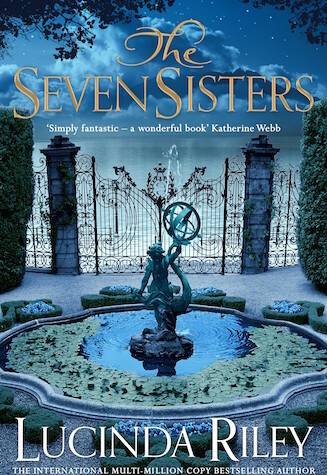 Or historical fiction with romantic elements? In the end, I went with the former for the simple reason that the romantic arc drives the characters’ decisions. That, and the fact that the historical events in 1902 take a backseat to Georgie and Javier’s love story. But the lushness of the detail is part of Under the Sugar Sun’s charm. The romance starts off slowly, overshadowed by the world building that Hallock has to do to make the story familiar to the reader. In Regency romance, there’s no need for this because we’re so familiar with the (at times inaccurate) social and historical details. In 1902 Philippines, Hallock has no such luxury as an author and if at times she errs on the side of caution, I can’t bring myself to find fault in that. ‘I’ve been kissed before,’ she said, meaning it as both warning and permission. In the end, I think Hallock sacrifices too much of her characters for historical accuracy. A hero who is a sugar baron is destined to leave me conflicted. I have too many cultural hang-ups to ignore the history of sugar in the Philippines, and in the time of this novel, sugar production would have been a feudal economy in which most labourers were bound by debt slavery (a fact clearly shown in the story). It’s not enough that they have the freedom to flee to the mountains to mount a revolution, nor that Javier is a benevolent hacendero who does his best to ensure that his workers are as comfortable as he can make them. I can’t disassociate myself from the heartbreaking plight of the peasants, nor can I ignore the results of feudalism in modern-day Philippines. On top of that, you only have to know a little bit of what happens to the sugar barons between then and now to realise that any happy ending for Javier and Georgie’s future family is tenuous at best. As terrible as it sounds, I would have preferred a sanitised version of this period in history, where the bourgeoisie dance the rigodon as if they were doing the quadrille in Regency England, and Javier finds a way to free his workers from debt, and the epilogue offers a view of the future in which the entire family finds other means by which to make a living. There’s a lot for me to unpack in this story. The layers of privilege between the characters make the romance very complicated for me. Very rarely will I ever be completely in the hero’s shoes in a romance, but in Under the Sun, my empathy is always with Javier. So when, in the last third of the story, Georgie does something unbelievably dangerous and stupid, I almost didn’t finish the book. Hallock fails to make the case for why Georgie would even think she can travel to Samar — where the Americans were basically slaughtered — to retrieve her brother. When it’s over, Hallock fails to redeem Georgie as a romantic heroine. Whereas Javier’s journey to rock bottom is heartbreaking and truly high stakes — to the point of foolishness, in my opinion — Georgie’s romantic arc is shallow at best. Why is she a suitable match for Javier? How does she demonstrate that she’s fit to stand by his side, when he has so many obligations? The story doesn’t provide satisfactory answers. And yet…I’m so glad I read this book. I can’t explain what it feels to read a setting that is both familiar and strange, and people whose futures you can imagine because you’ve lived in that world. In Regency romances, I can ignore all that because they don’t apply to me at all. In Under the Sugar Sun, every detail is both glorious and painful. The third book in this series, Sugar Communion (2017), will feature Javier’s cousin, Allegra, the illegitimate by-blow of a priest, and his half-brother, Andres, who is actually a priest. I can tell you now that this pairing pushes all my buttons, and although I’m excited to see where Hallock will take these characters, I will most definitely be killing a fairy for that book! 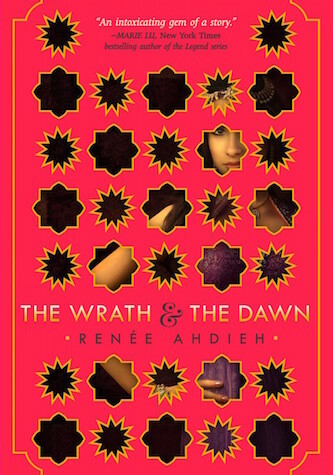 (That said, Andres is a standout character in this book and I’m pretty sure readers of this series are looking forward to his defrocking — in all the ways!) In the meantime, there’s a prequel novella out next month, and Georgie’s brother, Ben, and Javier’s cousin, Allegra, will be the hero and heroine of book 2, Sugar Moon (2016). Content advisory: Stupid foreigner decisions in the last third of the book, and not enough grovelling by the heroine. 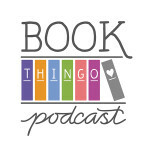 Tagged 2015 releases, diversity, filipino characters, jennifer hallock, philippines, pinoy romance. It’s so interesting what we can’t ‘unknow’ when we read a book. I do finish books with a deep unease when I know what unfolded in the years ahead IRL. I count how old their children would be when WW1 starts. I want all the people to leave where ever they are and have overseas investments. I want them to know more than they really can, hindsight being amazing. I want all the people to leave where ever they are and have overseas investments. Yes! For these reasons, I prefer not to read anything set just before or during war, especially when it will involve conscription. It’s easy for me to ignore the future in Regency romance, though. I’m starting to think that part of the subgenre’s appeal is its cocoon of safety, because we never have to think beyond the ballroom as it were. And now I wonder if the popularity of spy h/h characters are a subtle way to future-proof the characters. I also love Medieval romance, but again, the future generations problem arises. I always wonder if the h/h die in a bloodbath. Yes to the cocoon requirement for a comfort(able) read! I also think Regency Almackistan is about avoiding the ills of the Industrial Revolution and the political upheavals of the 19thC. It is pretty much pre-pollution and environmental loss and pre-British Empire with all it’s genocidal, colonial negatives that have to be addressed in some way if a story in a particular setting is to be just and have verisimilitude. It’s interesting to me how Steam Punk by it’s nature has to tackle these questions and it’s as if we can only do so in fantasy with a capital ‘F’. Even though our historical romances are a type of fantasy, they can’t go there. Merrian, if by some chance you pick up this book, I’d be so interested to hear your thoughts on it. Wow! Very interesting review! 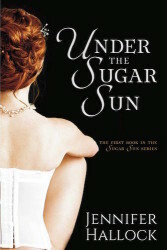 Several friends have suggested me to read Under the Sugar Sun as they know that I adore historical books. It seems like this is going to be nice story about love! Thank you so much for sharing.